The epoch-making of JSCE’s international activities is the International Scientific Exchange Fund (ISEF) of JSCE, which was established on the occasion of JSCE 75th Anniversary in 1989. The year of 2019 is its 30th anniversary. JSCE started “Overseas Dispatch”, “Invitation to Japan” and “Scientific Exchange” with grants by the Fund in 1990, “International Meeting” in 1991 and “Study Tour Grant (STG)” in 1992. Overseas Dispatch is to dispatch people residing in Japan overseas, while Invitation to Japan is to invite people residing overseas to Japan. Scientific Exchange is to support for the expenses to participate in meetings held in Japan, while International Meeting is to support for the expenses to organize international meetings. STG is the training course for people in overseas countries by inviting them to Japan. Those grant activities were the core of the international activities by JSCE. Since JSCE’s situation 30 years ago was quite different from the current one, there was no budget practically for international activities within JSCE. Upon the establishment of ISEF, International Activities Committee was set up for the first time to operate and support the international activities as an ad hoc committee in JSCE. The Committee had two sub-sections; 1st Sub-Section for management of ISEF and 2nd Sub-Section for tasks of signing AOC (Agreement of Cooperation) with overseas organizations and logistics for visitors to Japan in civil engineering field. The Committee became a permanent committee in 1991 and then International Affairs Division, overseeing the International Activities Committee, was introduced in 1995. After 1st Sub-Section of International Activities Committee became Committee on International Scientific Exchange Fund in 1996, there were two Committees in International Affairs Division. As the conclusion, ISEF was established for JSCE to expand its international activities and has been taking the role of commander, leading the direction of international activities by specifying the area for the grant. Along the same line with ISEF, International Activities Center (IAC) of JSCE was established in 2012, which is another epoch-making. International Activities Committee was dissolved and restructured to a bigger organization as IAC. There were five Subcommittees in International Activities Committee, namely Planning and Coordination, Information Dissemination, International Exchange, Promotion of Internationalization, and International Student Support. After reshuffling those Subcommittees, five Groups were created -- Information Networking, International Communication & Collabortaion, Professional Development and Education Program, International Student Networking, and Project, together with Executive Meeting consisting of IAC Senior Director and Directors, who are the heads of each Group. The main change with IAC is to introduce IAC member system rather than committee member system, so that IAC activities can be every day works. In fact, JSCE assigned more than twice of full-time staff as IAC members sitting at JSCE HQ office to assure this new system. Besides the budget for International Division became more than twice. By enhancing man power and budget, IAC could start its activities as expanded version of the former International Activities Committee and Committee on ISEF. In a sense, JSCE has come back to its starting point of international activities, which is International Activities Committee set up upon the establishment of ISEF, by setting up the present IAC in 2012. ISEF is the frontier of international activities in JSCE, while IAC is the second starting point aiming at the goal in which international and domestic activities are equally conducted in JSCE. Since the original objectives have been achieved to some extent seven years after IAC establishment, it is time to start the second step towards the goal. IAC has started discussion on how to work together with Committee on ISEF and Committee on ACECC (Asian Civil Engineering Coordinating Council) of JSCE. The cooperation of concerned parties is kindly requested. IHI Infrastructure System Co., Ltd.
Japan Society of Civil Engineers International Activities Center planned a new type of young engineers’ salon that consists of mini-presentation by the invited young engineers who had experienced overseas construction work and free talks within small group members, in order to promote the activities of young civil engineers in overseas civil engineering works. It provides opportunities for two-way free talks by deepening the experience of overseas projects from a young person's point of view, and by providing messages to young people who are active overseas, such as the difficulties and the challenges they have had in the project, and future prospects. It is useful not only for younger employees, but also for those who think about the career development of younger employees in the company, and for those who want to know the actual situation in other companies and other regions. 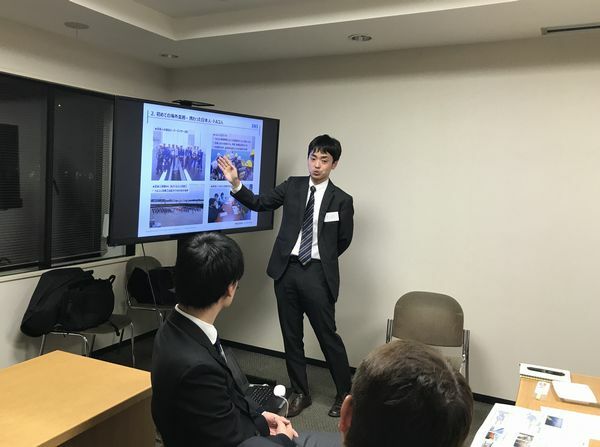 On December 18th, 2018, First Young Engineers’ Salon, Osman-Gazi Bridge Construction Project (IHI Infrastructure System Co., Ltd.) was held, inviting Mr. Tsuyoshi Tanaka and Mr. Mototsugu Ono as lecturers, and about 10 participants made active talks while having snacks. It is considered to be a valuable opportunity for the participants to learn the real intension and the actual situation from conversations with expressions rather than just textual information. The lecturers told us of their experiences that "I hoped to work overseas because I wanted to do construction of new huge bridges those will not be built in Japan. ","Japanese Supervisors contributed heavily." and "Japanese seemed to be crazy from perspectives of local peoples because we stayed on site and continued to work hard even in a stormy weather." Then, the stories and opinions unique to overseas flew from participants who had experienced overseas such as "we had better learn and acquire the basic technical skills in Japan. ", "In particular, meals and toilets are important." There was a question about languages from a young engineer who is willing to work overseas, and it was introduced that "There were cases where the communication was not properly done even through experienced interpreters. ", "Not only languages, but also some figures, pictures, or numbers were used to push jobs forward." Regarding daily living matters, the lecturers expressed their appreciation for contribution of the administrative staff in improving living conditions. Then, the common opinion was that it would be difficult to eat only local meals without any Japanese foods and the better WIFI conditions have brought to comfort into living recently. This salon would become incentives for young engineers to learn about the real things of construction works in overseas. IAC is planning to keep holding this Young Engineers’ Salon in the future to increase the engineers working overseas. 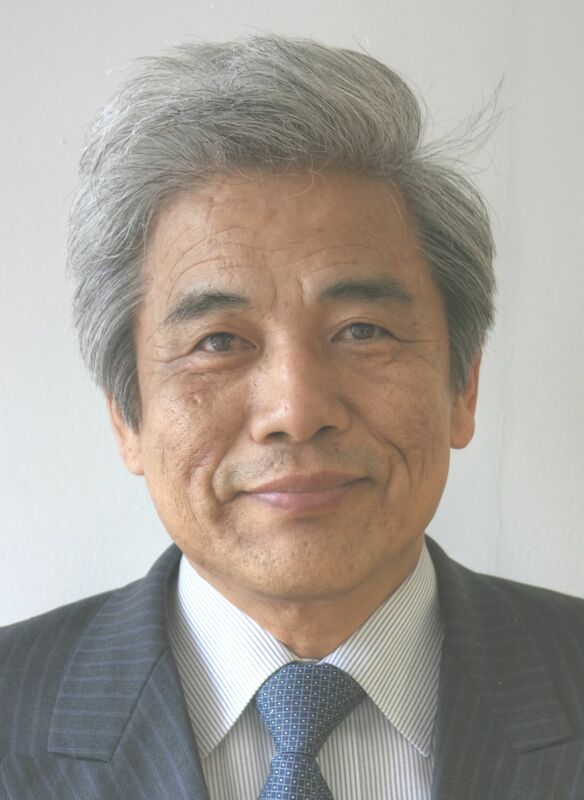 The Committee of Civil Engineering for Energy Equipment, established in 1977 as the Energy Civil Engineering Committee, has been continuously involved in activities to study and research energy-related issues in order to ensure Japan’s energy security and contribute to environmental conservation measures from the energy side. In this report, we present the status of our recent activities. (1) New Technology and Energy Subcommittee: The subcommittee compiled study and research results and hosted a November briefing session related to redevelopment and updated cases involving civil engineering equipment for existing hydroelectric power plants. It also promotes studies and researches related to practical training on waterway conservation technology. 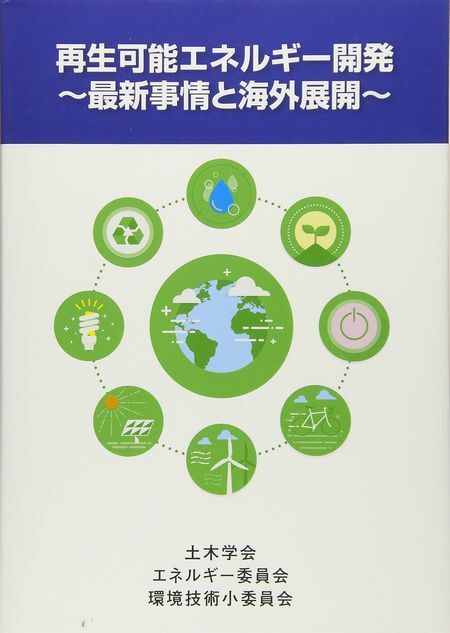 (2) Environmental Technology Subcommittee: The subcommittee published “Renewable Energy Development: Recent News and Overseas Expansion” in February, and hosted a publication commemoration lecture in June. (3) Subcommittee for Research on Low-Level Radioactive Waste and Contaminated Waste: At three sectional meetings, the subcommittee conducts research surveys of technical initiatives focused on previous civil engineering projects and investigates future technical issues, targeting low-level radiation waste processing techniques related to nuclear power plant decommissioning measures, management policies for the stable storage of accident-derived contaminated waste, and water contamination prevention measures concerned with the decommissioning measures of the Fukushima Daiichi power plant, which include reducing or recycling soil removed for decontamination, temporary storage, or intermediate storage. (4) Subcommittee for the Study and Research of Carbon Dioxide Collection, Capture and Storage: The subcommittee published a results report titled “Technical Trends Related to CO2 Transport, Capture and Storage, and Issues in the Civil Engineering Field” and hosted a meeting to summarize its findings in January. (5) Smart Sharing City Research Subcommittee: The subcommittee conducts investigation related to cities and regions where smart sharing initiatives are being put into practice, and has plans to report its findings by the end of this fiscal year. 2. Energy-Related Lecture Meetings, etc. The Committee of Civil Engineering for Energy Equipment hosts lecture meetings on the latest technical trends related to energy five or six times per year. This year, in addition to hosting meetings to report on the subcommittee’s results, they have hosted “Renewable Energy Development: Global Currents”, “Basic Energy Plan and Future Prospects for the Energy Industry”, “Geothermal Development Trends in Japan”, and “ICT in the Power Civil Engineering Field: The Latest Trends in Construction and Maintenance Management Technology.” Going forward, the committee will continue hosting such events. 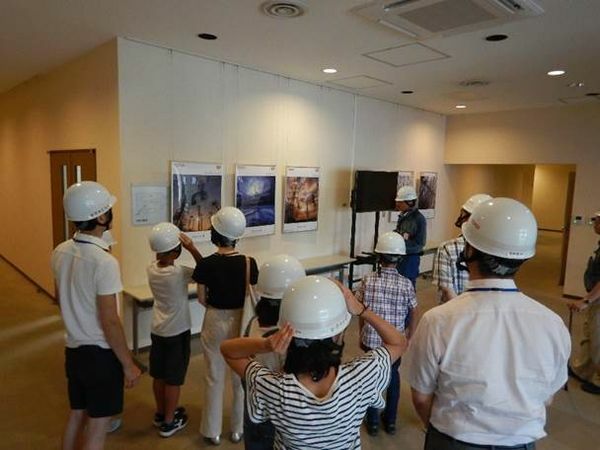 This year, for the first time, the committee also hosted the “Downtown Civil Engineering Walk Rally” to provide an opportunity to citizens, and children in particular, to get hands-on experience with facilities related to energy and civil engineering. 1st NZ-Japan Joint Symposium on Structural and Geotechnical Earthquake Engineering: ISO-23469 was held on 27th November 2018 at the University of Canterbury Faculty of Engineering Main Building (Christchurch, New Zealand). This symposium organizers are Canterbury University, Japan Society of Civil Engineers and ASCE. From Japan. Japanese speakers attended the symposium as presenters: Professor Riki Honda (The University of Tokyo), Professor Koji Ichii (Kansai University), Associate Professor Hiroyuki Goto (Kyoto University Disaster Reduction Laboratory), Mr. Kazuki Haba (Taisei Corporation) and Masayuki Yoshimi (National Institute of Advanced Industrial Science and Technology). The purpose of this joint symposium is to disseminate and develop of the ISO standard: ISO-23649 (Bases for design of structures - Seismic actions for designing geotechnical works) issued in 2005 headed by the member of Japan Society of Civil Engineers. In the second periodic review in 2014, because the adopted country of the standard did not reach five, the ISO headquarters has questioned the validity of the standard. So, efforts such as publication of the technical report TR 12930 and presentations in international conferences were finally approved by the headquarters and the ISO 23469 was barely confirmed. But we need to revise the standard for the next periodic review. Thus, we started to organize joint seminars on the dissemination of ISOs and TRs in the ISO members’ countries. Followed by the joint seminar held in Turkey last year, we planned to hold joint symposium in New Zealand this year. We asked Prof. Gabriele Chiaro, an associate professor at the University of Canterbury, about organizing joint symposium and speaker selection on the NZ side. We also asked Dr. April of the American Society of Civil Engineers (ASCE) for tactics management. 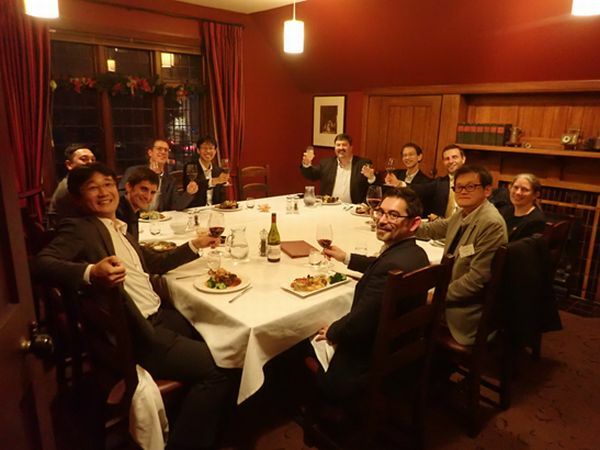 On November 26, the day prior to the seminar, Prof. Gabriele Chiaro and the Japanese members had meeting for the final decision about the symposium. We agreed that Professor Ichii would make a greeting speech from JSCE in the opening ceremony and Professor Honda at the closing ceremony. Also, we concluded that the next symposium would be held in Japan in 2021. 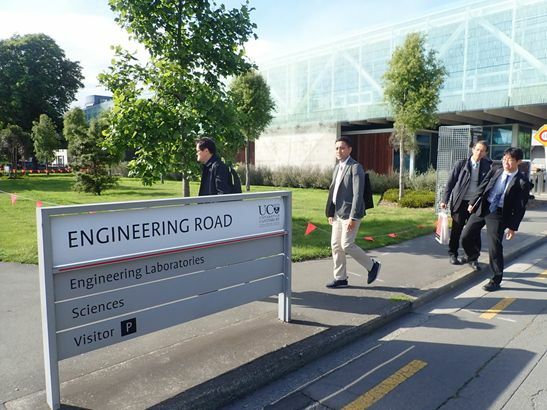 We held a symposium on the E8 Lecture Theater, Engineering Core Block at the University of Canterbury University Engineering Main Building. More than 100 people gathered from the start of 9:30 at the venue. All presentations were invited talks, 5 from Japan and 5 from New Zealand. We set up one technical session in the morning and 2 technical sessions in the afternoon to include 3 to 4 presentations that had similar topics in each session. The presentation slot was 30 minutes per subject, so that each speaker enjoyed time to explain. A Q&A session was held at the end of each session. Prior to the lecture, Prof. Chiaro introduced the outline of the symposium, the organizer and sponsors. Next, on behalf of the Japanese side, Professor Ichii and Dr. April of ASCE gave greetings. Three talks were held in the morning. 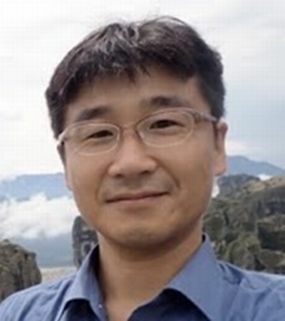 Prof. Goto made a presentation about a careful analysis of the extremely large acceleration record observed during the Kaikoura earthquake in 2016 (New Zealand, M 7.8). Then, Prof. Brendon Bradley, Canterbury University, made a talk on earthquake hazard studies in New Zealand. Mr. Haba gave presentation about a HPC Finite element analysis on the surface ruptures considering multiple fault plane. After lunch, four presentations were delivered in the first part of the afternoon session. Prof. Tim Sullivan gave a talk on the importance of post-earthquake repairability. 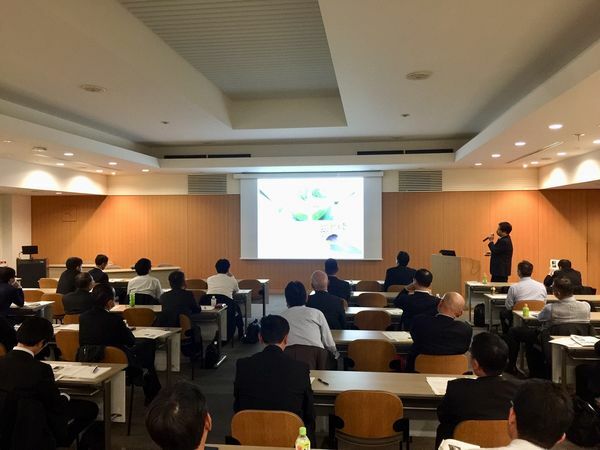 Dr. Masauyki Yoshimi, GSJ/AIST, made a presentation about the earthquake damage the surface earthquake ruptures during the 2016 Kumamoto earthquake. 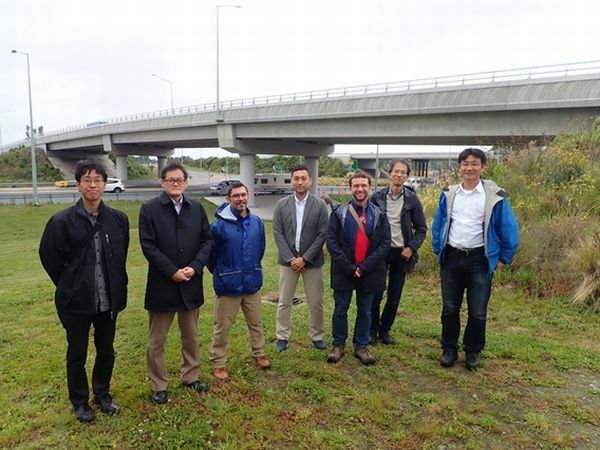 Prof. Alessandro Palermo, Canterbury Univ., gave a lecture on development of a new type of bridge structure, and Prof. Riki Honda explained a new concept of anti-catastrophe oriented seismic design. After a coffee break, three presentations were given in the final part of the afternoon session. Dr. Sjoerd Van Ballegooy (technical director of Tonkin + Taylor) gave a talk on liquefaction risk assessment in New Zealand using borehole database. Then, Prof. Ichii made a presentation about model parameter selection at liquefaction analysis. Finally, Dr. Chris Massey, GNS Science, made a talk about a landslide disaster prediction system for earthquake and post-earthquake rainfall. Each presentation was well prepared and organized with numerous figures, photographs, etc. Thanks to the closeness of the lecturer and the audience, every attendee seemed to enjoy the presentations and discussion. At the closing ceremony, greetings from Prof. Chiaro, Prof. Honda and Gold sponsor Tonkin + Taylor were made. In the greeting from Tonkin + Taylor, he emphasized the importance of communication among academic experts and businesspersons and practitioners to develop technologies. We concluded the symposium with a group photo of all participants. After the symposium the speakers and organizers had a business meeting in a restaurant. A total eleven participants summarised of the symposium and discussed the future cooperation. 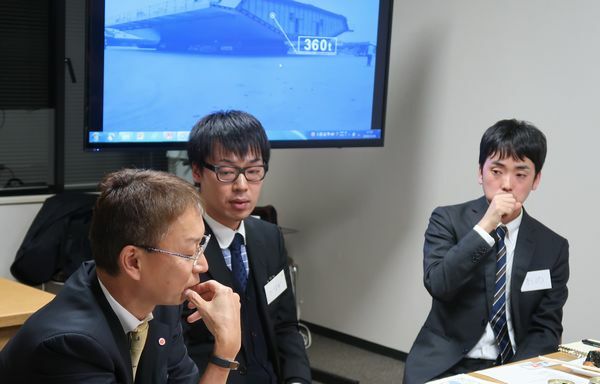 An active discussion was held on the current situation of earthquake engineering and geotechnical engineering in industry and academia in both countries. It was confirmed that we would deepen the connection between the two countries on many occasions including WCEE in 2020. We agreed to implement the next joint symposium in Japan in 2021. The day following the symposium (November 28), a technical tour in the disaster area of the Christchurch earthquake was conducted with guidance from Prof. Chiaro and his students. We investigated the residential areas that were abandoned due to liquefaction damages, the houses which were all dismantled, the bridges which were settled due to the depression of the abut, and the new bridge that Prof. Palermo introduced in the symposium. After the tour, we held a lunch meeting, promising cooperation in the future. The Joint Symposium was successfully implemented. The International Scientific Exchange Fund played a major role. In addition, we have to mention that most of the expenses of the symposium lunch and coffee breaks were covered with the sponsorship fees' offered by participating companies. As a result, the expenditure from the grant helped lower than the estimate made initially. For further details, please refer to the website：https://sites.google.com/view/1st-nz-japan-symposium-on-sgee/home. I came to Japan for the first time in October 2007 as a one-year exchange student from Dresden University of Technology in Eastern Germany (formerly East Germany). Since I did not have a chance to do research or experiments at university in Germany, I got quite excited about what the students were doing in the laboratory. 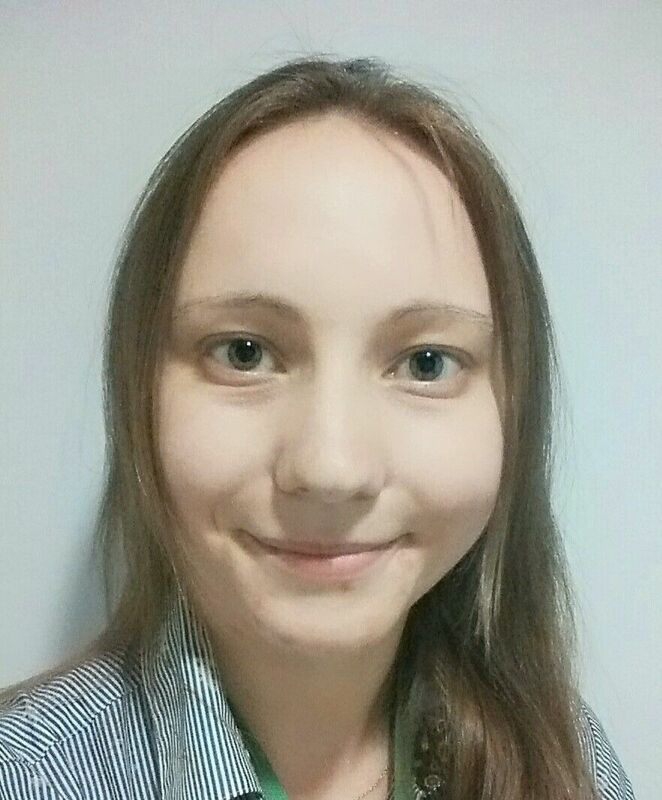 It did not take much time until I was nicely dressed in the working clothes like the other students and first even helped the other students, and later I also did my own experiments. During that time, I made two decisions: 1. I wanted to continue research, and 2. I wanted to work in Japan. In August 2008, I returned to Germany, finished my courses at the University, and came back to Japan in October 2009 in order to conduct experiments at Okayama University for my diploma thesis entitled " Realization and simulation of flow path experiments of unsaturated soil columns under natural climate scenarios ". In June 2010, I received the diploma (equivalent to master’s degree) from the Dresden University of Technology. Since I still wanted to continue research in Japan, I enrolled in the PhD program at the Graduate School of Environmental Science, Okayama University in October 2010 and was granted with the scholarship (MEXT: Japanese Ministry of Education, Culture, Sports, Science and Technology). In September 2013, I graduated with the dissertation entitled: "Study on physical and chemical clogging phenomena during artificial recharge of groundwater”. After acquiring the PhD (environmental Studies), I worked as a postdoc at the Groundwater Research Group of the National Institute of Advanced Industrial Science and Technology (AIST). At AIST I applied and was admitted at the innovation school in AIST, which provides a training program for postdoctoral fellows to develop communication skill over a wide range of branches to meet industrial needs and improve skills. 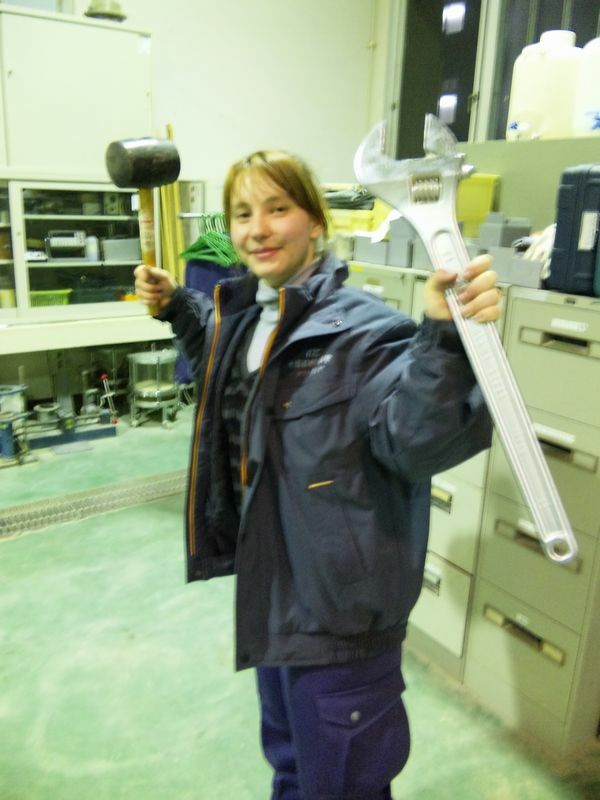 As a school student, I got the opportunity to do an internship in the Technology Center at Taisei Corporation, and since 2015 I have been working in the groundwater team of the geotechnical laboratory of the Technology Center. When I first came to Japan in October 2007, I had no culture shock at all. But I was completely unable to speak and understand any Japanese word. At that time, I was facing the barriers and thought that it would not be possible to do research in Japan without speaking Japanese. Thus, I started studying Japanese desperately and after one year I became able to do daily conversation in Japanese. Furthermore, I was taught not only standard Japanese but also Kansai dialect by the students in the laboratory. At the defense of my doctor thesis I was able to present my research completely in Japanese language. Many Japanese people often ask me if it is difficult to live in Japan, but I felt that I would rather work in Japan from the experience of Japanese culture and the kindness of the Japanese people. For example, during a trip once, I took a wrong train. One passenger noticed that I was in trouble and taught me the correct route to get to my destination. However, when I arrived at the correct station late at night, I was surprised that the station staff greeted me and told me that somebody from the hotel would come to pick me up. This was actually because the person who told me how to get to the destination also contacted the station staff and the hotel to get me there safe. I had never experienced such kindness in Germany and was very impressed. Since I was a child, I was influenced by my parents and my brother, and had a keen interest in repairing bikes and cars, and helping to reform our house. As a High school student, I have worked part-time for an environmental magazine. I became more concerned about the environment by reading papers and from discussions with environmental engineers. I also noticed that Groundwater was the most important water resource in Germany and got interested in water problems. Hence, I entered the Dresden University of Technology in 2004, which was a famous University for water engineering in Germany. In Germany, university undergraduate students are subject to lectures and exams, and there are almost no opportunities to conduct research in the laboratory compared to Japan. During my stay in Japan, I became interested in research through my work in the laboratory and communication with lab mates and other students. 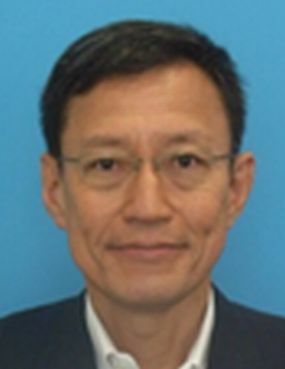 During my research at Okayama University I was mostly conducting indoor and field experiments, but had not much experience with numerical simulations. Since I am employed at Taisei Corporation I could enhance my skills in numerical analysis of groundwater. I noticed, that for instance high temperature, high pressure or long term cases cannot easily be realized in experiments, which makes validation and verification of numerical analysis difficult. Furthermore, geotechnical surveys are time-consuming and costly, and no matter how much you investigate, it is difficult to obtain accurate information about the whole matrix. My vision for the future is to develop “glasses” in order to make the underground visible. I arrived in Japan, without speaking a Japanese word, knowing not much about Japanese culture. However, with the support around me, especially everyone in the laboratory, I was taught Japanese language (mainly Kansai dialect) and culture. I am grateful to all my lab mates and friends during my stay in Okayama University, especially, very much to Prof. Nishigaki who was my supervisor and who encouraged me to continue my education and to become stronger due to efforts and hard work. Because sometimes I am a clumsy person, I have run against a wall for many times during my life. However, I do not think that I should have chosen the easy way at all. I challenged new ways all the time and got unique experience, which cannot be taken by anyone else. As I say, “Where there is a will, there is a way”, I want to be a civil engineer with passion, who challenges difficult issues in order to provide safe and smart technology for the next generation. Profile: From 2007 to 2008 studied for one year at the Faculty of Environmental Science and Engineering, Okayama University. In 2010, received diploma degree from the Dresden University of Technology, Germany. 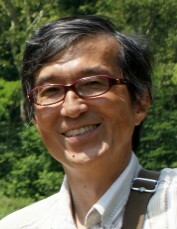 In the same year enrolled in the doctoral program at the Graduate School of Environmental Studies, Okayama University. After graduating in 2013, working at the National Institute of Advanced Industrial Science and technology. Since 2015, employed at Taisei Corporation. In 1990, the year of German reunification, I established an exchange program with the prestigious Dresden University of Technology in former East Germany. Over 25 years I received 45 students from Germany. One of them was Claudia Fujita. She joined my laboratory for the first time as a DAAD scholar for one year in 2007, and returned in 2009 when she enrolled in the doctoral program at Okayama University. During her time at my laboratory I always saw her as my own daughter, and before she became a MEXT scholar, I covered her tuition fees from my private funds. In her doctoral studies, she focused on the efficiency and utilization of open-loop groundwater heat pumps. Her academic work was extremely satisfactory and enriching. Claudia is currently working for the Taisei Corporation, and with her husband, another alumnus of my laboratory, has been a loving mother since 2017. ※Alumni of DOBOKU Series is in collaboration with Editorial Committee of JSCE Magazine. The IAC News is one of the communication tools to share information and ideas with the members. We would like to invite you, your friends and colleagues to join the communication and to subscribe the IAC News. Please register online: (http://www.jsce-int.org/node/150). We look forward to meeting you.